An award-winning business adviser has joined the University of Warwick Science Park to help deliver support to growing, high-tech firms. Janette Pallas will be based at the Venture Centre on the main campus at the university and will lead a new business programme that offers a range of help and support to innovative businesses based in Coventry and Warwickshire. Janette is an experienced and qualified business coach, trainer and consultant who gets businesses to focus on strategic and business planning to meet their ambitions. She was awarded the Specialist Adviser of the Year by the Institute of Business Advisers in 2005 for her work in supporting businesses in their use of ICT and was honoured with the Queen’s Award for Enterprise Promotion in 2008 for her work with student enterprises and disabled entrepreneurs. Prior to becoming a business adviser, Janette founded and grew her own IT consultancy and training business which she later sold. She said she was looking forward to the new challenge. Janette said: “The team at the University of Warwick Science Park has a well-respected track record in supporting growth businesses. I’m really looking forward to helping build on this expertise and working with local businesses to help them take the next steps in their business growth. “I look to get companies thinking strategically and support them to raise the right balance of debt, grant and equity funding by helping them to prepare for the different types of funder. David Grindrod of the University of Warwick Science Park, said: “We are delighted to welcome Janette to the Science Park. “As well as providing flexible space across several sites in the region that allow growing, high-tech companies the freedom to expand at their own pace, we also deliver a range of support services. 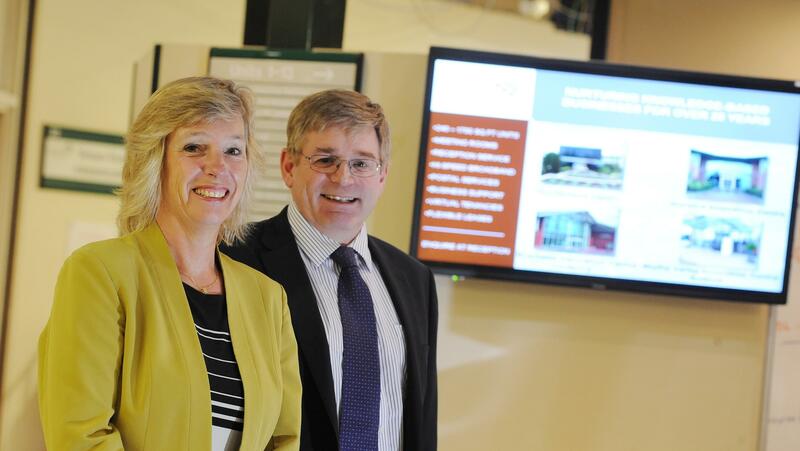 “That includes everything from marketing through to angel investment and Janette will oversee those business support programmes to companies who are not only based on the Science Park but at other locations in the region.